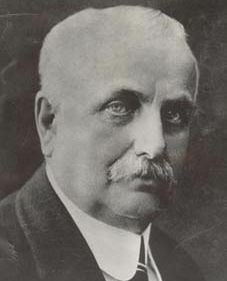 Frank Winfield Woolworth was an upstate New York who worked in general stores in his youth before branching out into his own unique ‘five and dime’ retailers — places where customers could interact with the merchandise directly, without a store clerk. 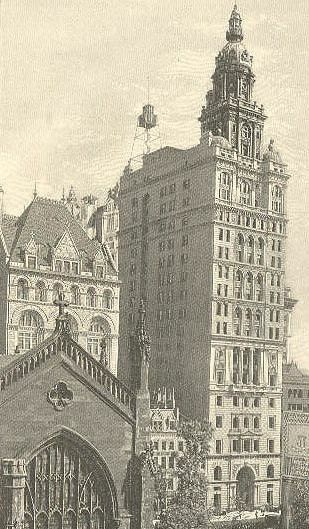 The tallest structure in New York for many years was the spire of the Trinity Church, on Broadway, at the foot of Wall Street. In 1890, its height was finally topped with the completion of the World Building by the influential publisher of the New York World newspaper, Joseph Pulitzer. 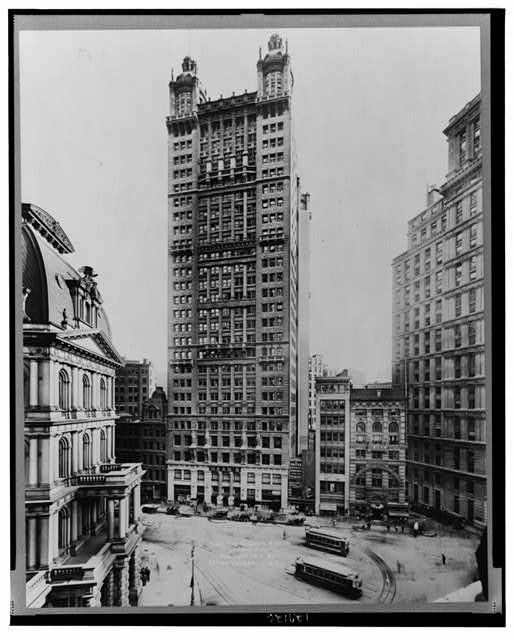 In 1894, Pulitzer lost the tallest building title with the completion of the Manhattan Life Building, a clever structure with two sides that top out with an iron bridge and a towering lantern at 348 ft. 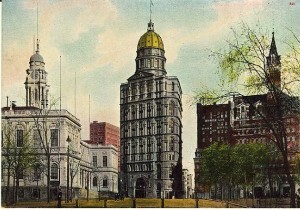 It was across the street from Trinity Church (today occupied by the domineering Bank of New York Building). The Park Row Building came next, completed in 1899. 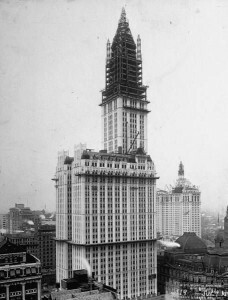 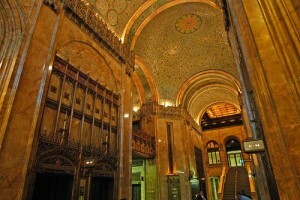 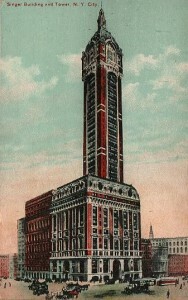 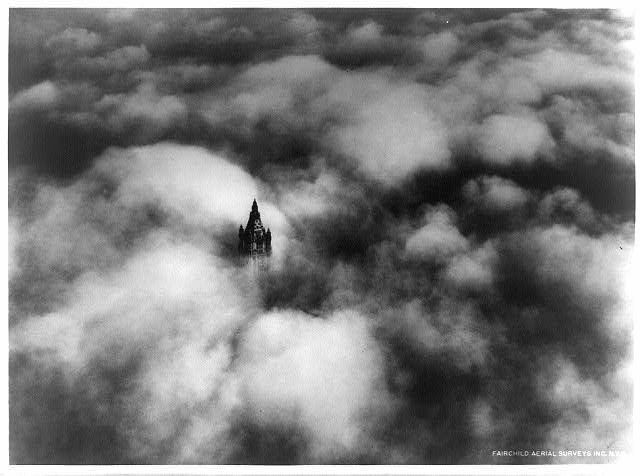 It still stands today, with the Woolworth looking down on it. 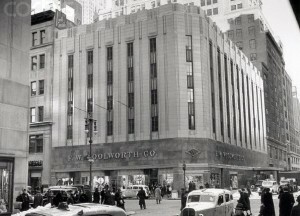 J&R Music World still occupies many of its floors today. 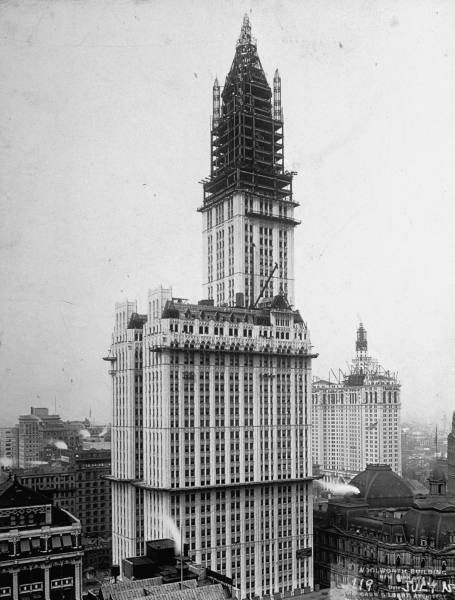 Perhaps the strangest building to become New York’s tallest was the Singer Building, built in 1908 at a then-staggering 612 feet. 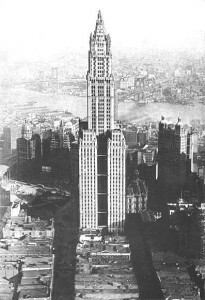 It has the very dubious distinction of being the tallest building in history ever to be purposefully demolished (in 1968, making way for the frustratingly bleak One Liberty Plaza). 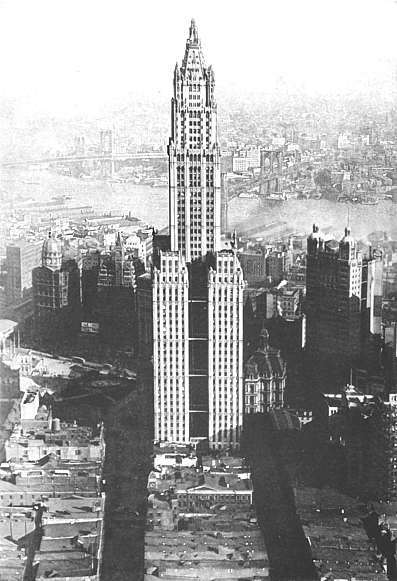 In order for Frank to build New York’s tallest structure, he need to beat the Metropolitan Life Tower, completed in 1909, still a beauty next to Madison Square Park. 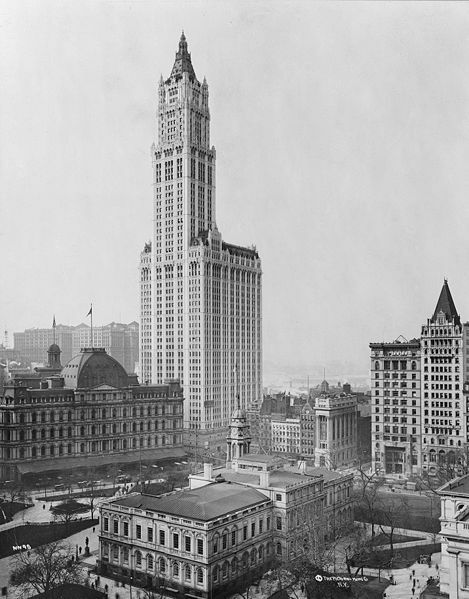 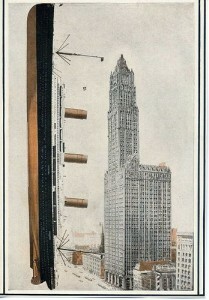 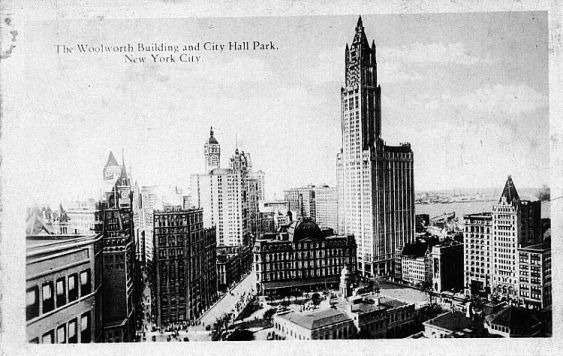 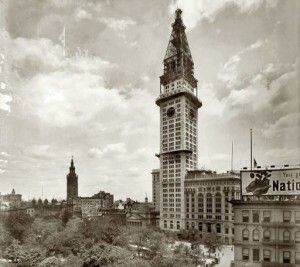 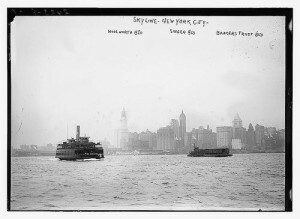 A view from the other side of the Woolworth, taken in 1920, reveals two other buildings that were once considered ‘the tallest building in New York’: the domed World Building to the left, the Park Row Building to the right. 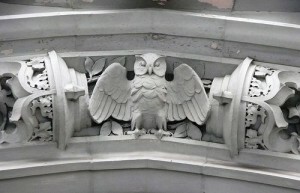 An owl ‘gargoyle’, one of many playful details Cass Gilbert incorporated into the building’s massive terra cotta face. 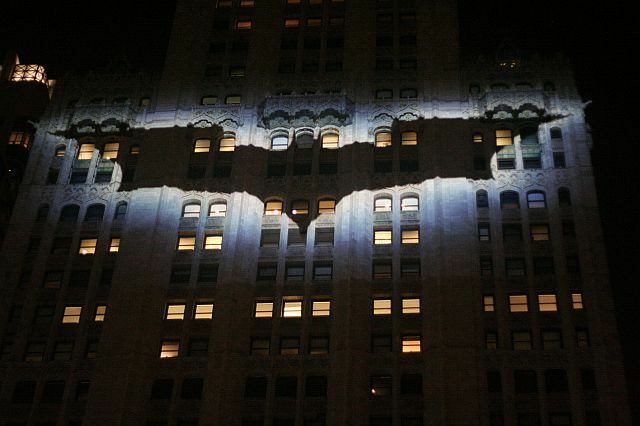 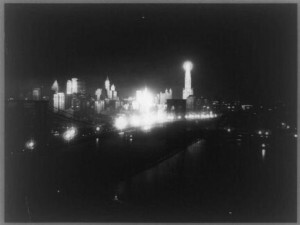 To promote the most recent Batman film The Dark Knight, the Bat Signal was projected onto the Woolworth Building.